This 20' Peninsula Island Exhibit features 3 double sided interactive Kiosks with product pedestals. High seamless SEG graphic walls for superior branding and a walk-in storage closet. 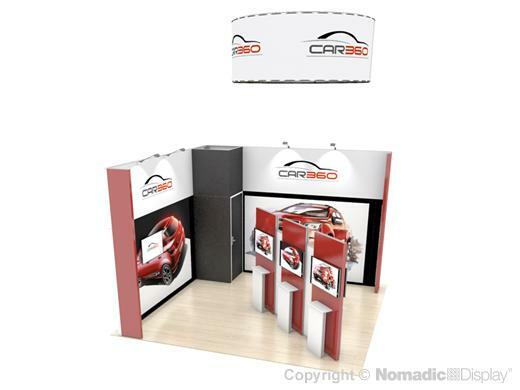 An overhead hanging structure completes the booth and makes your presence known.